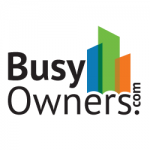 BusyOwners.com is an Indian based online solution for commercial property lease management targeted at self managed landlords. The motive is to provide the functioning of a large application with simplicity like Whatsapp to owners that faces issues in managing their leases. This solution enable owners with essential trackers (lease, rent and expense), and detailed reports related to their leases such as income, expenses, service tax. All information is available at just a click away results in enormous amount of time saving. Storing information on a safe and secure environment, eliminates the risk of theft,loss or damage. Owners can manage all their leases and properties on the go, as it can be used on any device at anytime from anyplace.